Simeon Booker receives the George Polk Career Award. There were several D.C. area winners who took home Polk Awards, announced yesterday by Long Island University. The Washington Post picked up two, while longtime Washington journalist Simeon Booker received the George Polk Career Award. Foreign Policy magazine’s Andrew Quilty received the Photography prize. The Post’s police-shooting project, which won for national reporting, found that 990 people were shot and killed by on-duty police officers in the United States in 2015 and that most of the dead were armed white men. About a quarter of those killed had a history of mental illness or were suicidal. While only a small percentage of those killed were not armed, unarmed black men were seven times as likely to be killed as unarmed Caucasians. Its second, for Regional Reporting, went to WaPo’s Terrence McCoy for his look into D.C. area businesses that deal in structured settlements, leaving those companies with the majority of the money that should go to plaintiffs in settlement cases. McCoy made the initial discovery while covering Freddie Gray, who McCoy discovered had been a victim of this practice. There is also a Washington Post connection for Simeon Booker, the winner of the George Polk Career Award, who in 1952 became the paper’s first full-time African-American reporter. 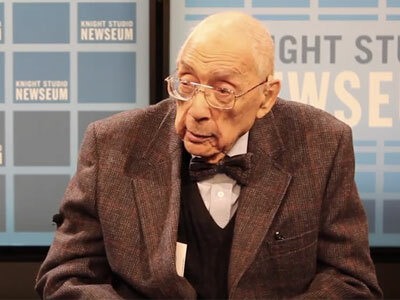 Booker spent the majority of career covering the civil rights movement and the White House for Jet and Ebony magazine. FP’s Andrew Quilty received the Photography award for The Man on the Operating Table, his all-too-real series that captured the destruction inside the MSF hospital in Afghanistan mistakingly destroyed in a U.S. airstrike last year.